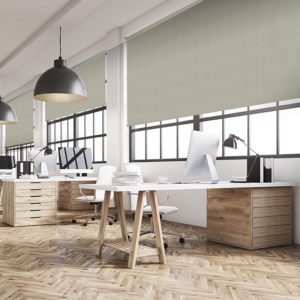 The most popular of roller blinds materials, blockout will provide total light control as well as 100% privacy. Blockout is the perfect solution for room darkening and therefore perfect for bedrooms, living rooms and theatre rooms. The material facing the outside of the window is fitted with an acrylic foam or backing which provides excellent insulation properties.